The rules for combat an enemy in aerial combat or “dogfight” were not created by teachers in military academies. These first rules emerged from the combat experience of the first pilots who risk their lives to learn how to fly and fight in the best way. Among them, the German pilot Oswald Boelcke stood out as a leader and organizer and he described his experiences in 8 fundamental aerial maneuvers. 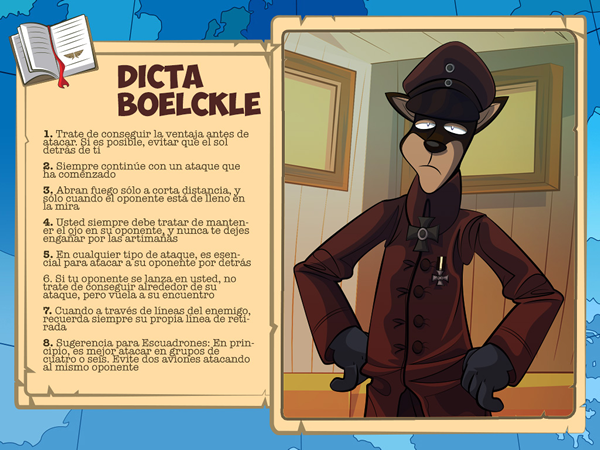 At the time of writing it, Boelcke was the best German ace and had accumulated 40 victories in battle. Its rules were valid almost to the present day. Now we present the rules and we will try to explain them in detail in future entries. Some of these rules also apply in Mini Dogfight. Use them and you will succeed in your career as a pilot!